If you would like to purchase any of the items below please contact us to place an order. Tunes, songs and dances from the manuscript of a Yorkshire corn miller and musician. 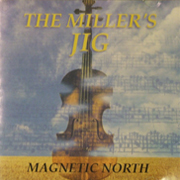 This volume contains over 300 tunes from Joshua Jackson’s book including country dance tunes, 4/4 & 3/2 hornpipes, reels, jigs, minuets, allemandes and marches, many of which are accompanied by dance instructions. A variety of songs are also included amongst the pages, romantic, patriotic and humorous. A collection of tunes for all melody Instruments plus dances and songs. This first volume contains 190 tunes, songs & dances from Joshua Jackson’s book. of dance tunes, songs & airs from the 1798 Manuscript of Joshua Jackson, Yorkshire cornmiller And musician. A historical and contemporary account concerning the culture surrounding clogs, their use and manufacture. 72 pages including chapters on basket making, metalwork, dry stone walling, leather work, rope making and many other crafts. Traditional and seasonal Yorkshire food. Savoury and sweet dishes, pies, puddings and more.